The J.R.R. 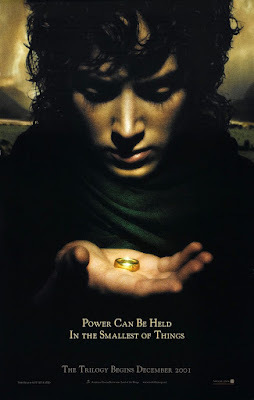 Tolkien estate is reportedly shopping the rights to a TV series based on The Lord of the Rings novels. First reported by Deadline, the upfront rights payment is a steep, nearing somewhere between $200-$250 million. Amazon, Netflix, and HBO were reportedly approached about the deal, but HBO is not interested because of their commitment to the Game of Thrones franchise. Amazon and Netflix are said to be interested, but this is a huge expenditure. The potentially $250 million price tag doesn't include developing a concept, along with all of the other budgetary issues that exist with building a TV series. It's expected that the budget for a fantasy series like this could be around $100-$150 million per season, which is near what Game of Thrones is expected to run in its final season. Both Amazon and Netflix want to have a competitive show that is similar to Game of Thrones. This is a well known property, whose story has also already been told. So there is an additional question of would someone want to adapt this to a TV series after it had a successful film trilogy. Along with that, not all of the characters may be included in the rights.